We all remember when Tom Brady closed the door on the Manning-Brady rivalry this offseason in an email revealed during the Deflate-Gate saga. A lot of people, laughed it off and Tom Brady apologized to Peyton about it getting out, but Brady was ultimately right. This rivalry is over. Through three games this season Tom Brady has racked up 1112 yard, 9 touchdowns and 0 interceptions. Peyton through four has 968 passing yards, 6 touchdowns and 5 interceptions. And honestly, those numbers are kind. Peyton has looked awful this season. His arm does not look to be as strong as it once was and as the temperature starts to go down so may the lackluster production. Now this doesn't mean the Broncos can't still threaten the Patriots or at least annoy them in the AFC. Denver's defense is arguably the best in the NFL and they still do have playmakers on offense with Thomas and Sanders. 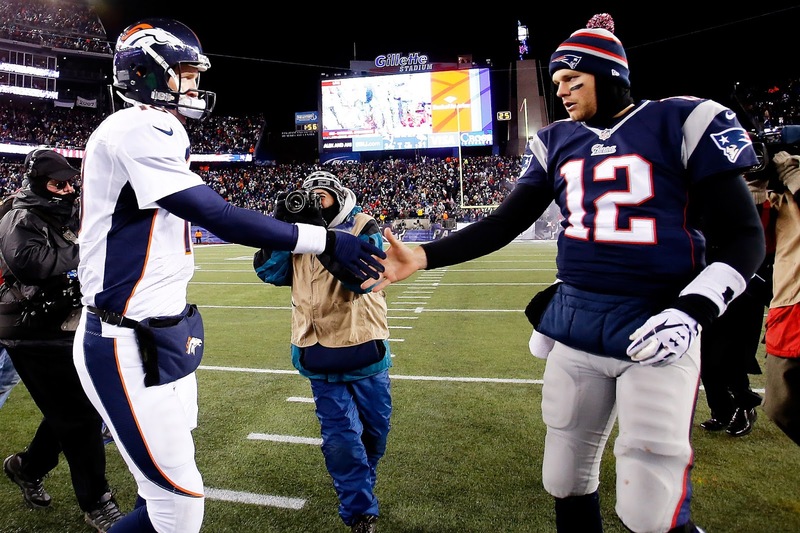 So the Patriots-Broncos rivalry might still have another few rounds to go, but Manning-Brady has reached its end.